Next story in 2010 Year in Review Top 10 YouTube videos of year: Which is your fave? 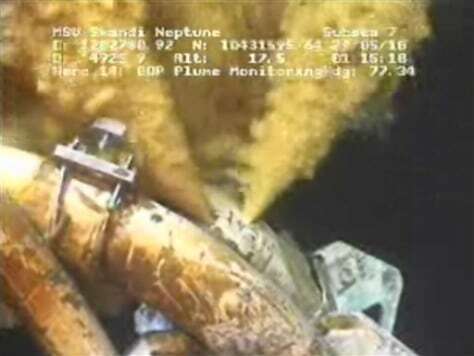 Drilling mud escapes from the broken pipe on the gushing oil well in the Gulf of Mexico in late May. If you needed any evidence that the U.S. has become a nation of watchers, look no further than 2010. From the spillcam to Snooki, from volcanic clouds to video ambushes of political candidates, the spectacle that was the past year made certain that the image -- the weird, wonderful, horrifying, mesmerizing image -- reigned supreme.